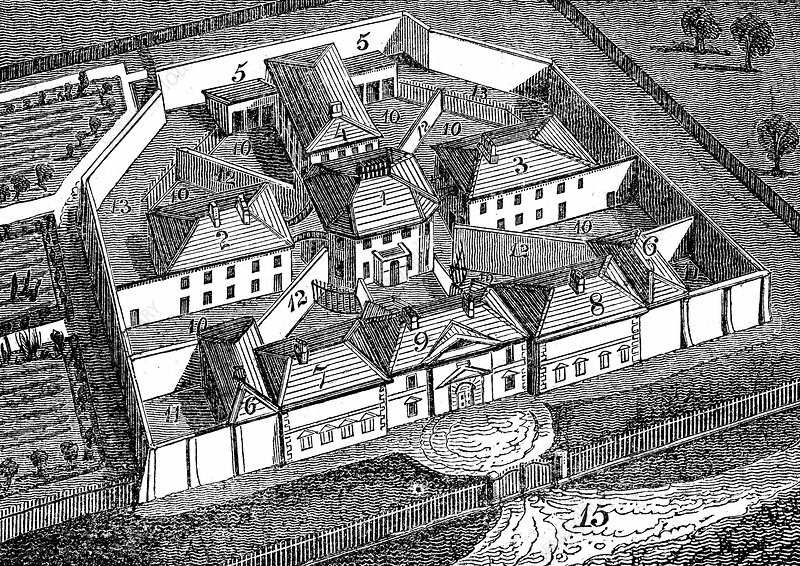 Huntingdon County Gaol and House of Correction, England, built c1828 to design by William Wilkins. Radiating principle Treadmills for grinding corn and raising water worked by prisoners. Woodcut.